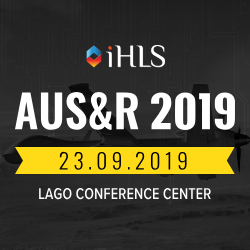 A vast array of experts and leading figures in the military and the defense industries from Israel and from abroad gave fascinating presentations at the AUS&R 2017 Conference, elaborating on the advanced concepts and approaches underlying the current development of new unmanned systems. The conference was narrated by Col. (res.) Arik Davidi. Maj. Gen. (res.) 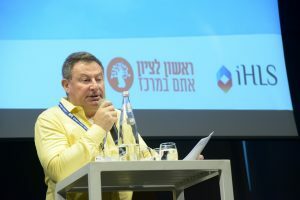 Yoav Galant, Minister of Housing and Construction and member of the Security Cabinet opened the session, elaborating on his view of Israel’s security challenges and the technological response. 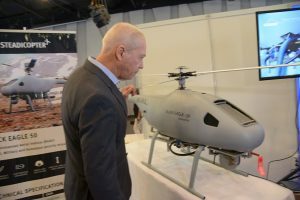 Lt. Col. Erel Brand, Head of Engineering, UAV-PEO at MAFAT, spoke about his organization’s view of the UAV world, emphasizing the role of the human operator of the unmanned systems. Ltc. 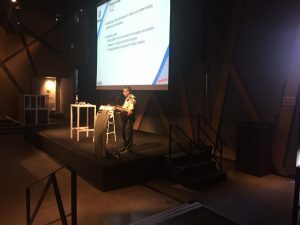 Leon Altarac, Robotic Systems Knowledge leader at the IDF spoke about the activities of the unmanned systems mobile research lab, that uses deep learning technologies. 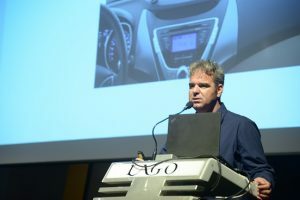 The aspect of the civilian autonomous vehicle was presented by Lior Sethon, Deputy General Manager of the Aftermarket Division in Mobileye, the leading company in this field. 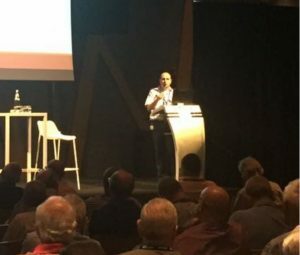 Yonatan Rozenberg, Marketing Manager in IAI, elaborated on advanced operating concepts in the unmanned system realm. 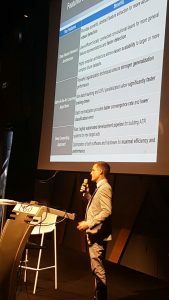 Arriving from the US, Dr. Joel Hewlett from Archarythms spoke about the challenges in automatic target recognition (ATR) and solutions basing on deep computing technologies. 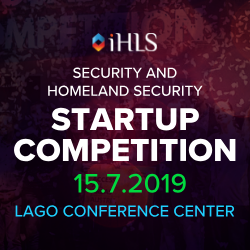 He elaborated on the company’s advanced image recognition and classification algorithm. Also from the US, Kevin R. Beck, Boeing’s Senior Global Sales and Marketing Representative – SHARC, spoke about the future maritime environment. 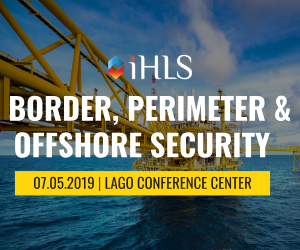 Elaborating on maritime sensor networks – creating a seabed-to-space surveillance and communications systems, he focused on the SHARC autonomous surface vessel for ISR, anti-submarine warfare and anti-surface warfare. 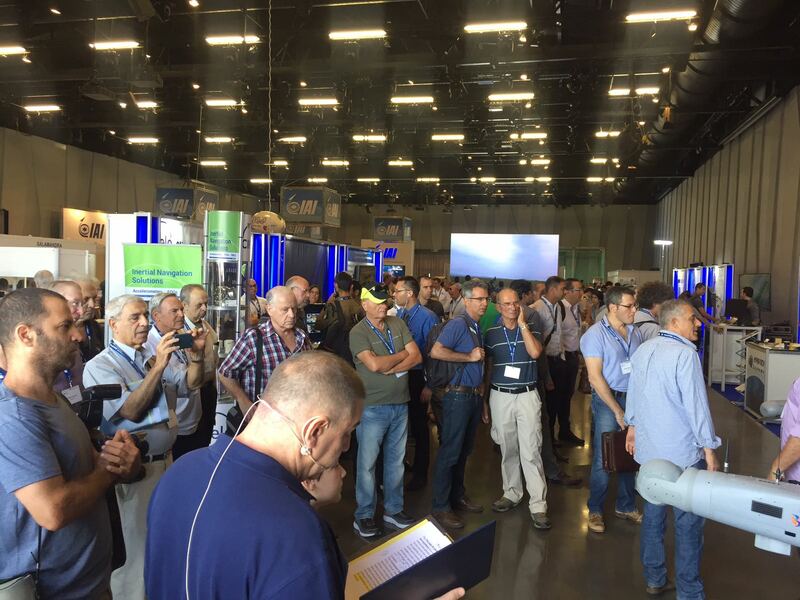 Yair Dubester, APG’s CEO, spoke about next-generation UAVS – VTOL with fixed-wing performance. 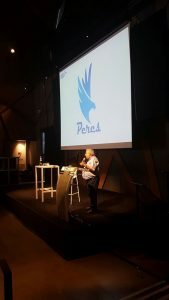 He presented the company’s Peres VTOL UAV, having a tandem wing configuration and a hybrid propulsion system, featuring a 12-hour endurance. 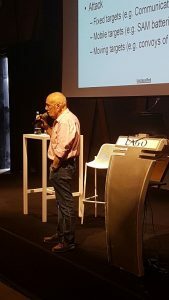 Among the lecturers were also Ronny Yifrach, Head of Project Initiation Center at MLM – IAI who presented anti-drone technologies, and Omri Rahamim, Business Dev. and Sales Director from Airobotics who referred to the role of autonomous drones in homeland security applications. The last presentation of Idan Rozenberg from Axon referred to UAV airborne video analytics.